The purpose of this study was to evaluate the pathological changes of the pulmonary arterioles in patients ≥ 2 years of age who first underwent a pulmonary artery banding (PAB) procedure, followed by bidirectional Glenn or Fontan according to their specific conditions. 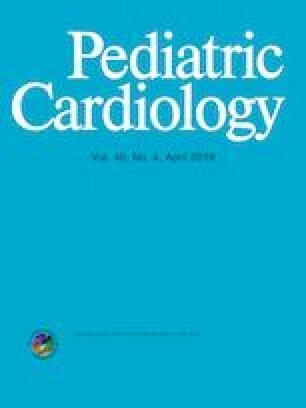 This was a prospective study of 15 children diagnosed and treated with PAB at the Department of Cardiothoracic Surgery of Anzhen Hospital between January 2009 and December 2012. The percentage of media area (%MS) of pulmonary arteriole, the percentage of media thickness (%MT), and pulmonary arterial density (APSC) were calculated from lung tissue sections. Pulmonary artery pressure decreased significantly after PAB surgery (P < 0.01). Postoperative mean pulmonary artery pressure declined significantly (P < 0.01), the cardiothoracic ratio was reduced (P < 0.05), and percutaneous oxygen saturation (inhaled air) decreased to 80–85% (P < 0.01). %MT (from 35.1 ± 5.6% to 26.9 ± 4.3%, P < 0.01), %MS (from 51.4 ± 6.7% to 32.2 ± 7.4%, P < 0.01), and APSC (from 108.3 ± 38.5 to 83.6 ± 19.6, P < 0.01) were decreased significantly after PAB. Five patients underwent the bidirectional Glenn procedure and four underwent Fontan. In conclusion, the results suggest that PAB can reduce pulmonary artery pressure and that pulmonary arterial lesions can be reversed after PAB. The study was approved by the ethics committee of Anzhen Hospital. Written informed consent was obtained from the legal guardians. All procedures performed in studies involving human participants were in accordance with the ethical standards of the institutional and/or national research committee and with the 1964 Helsinki eclaration and its later amendments or comparable ethical standards.